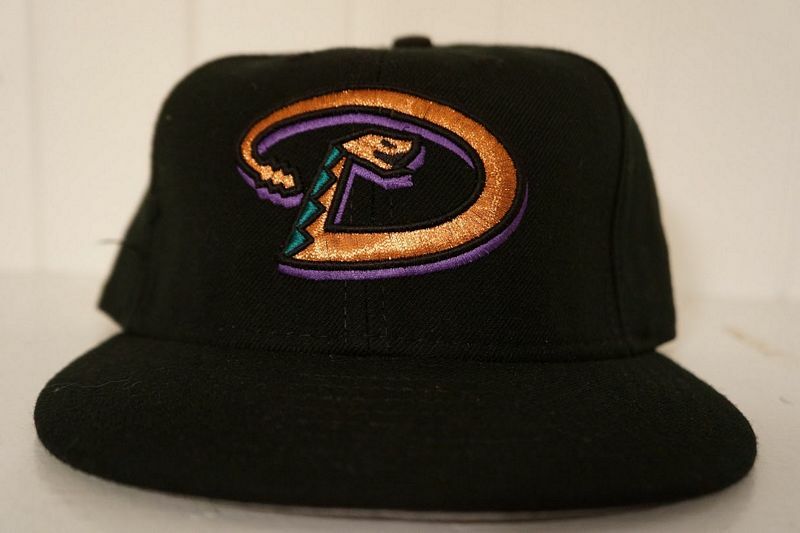 In 1995, MLB announced expansion to Arizona and Tampa Bay for the 1998 season. Arizona Merchandise went on sale late in 1995. 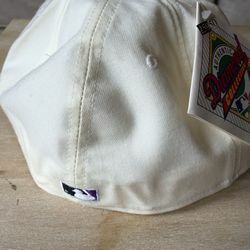 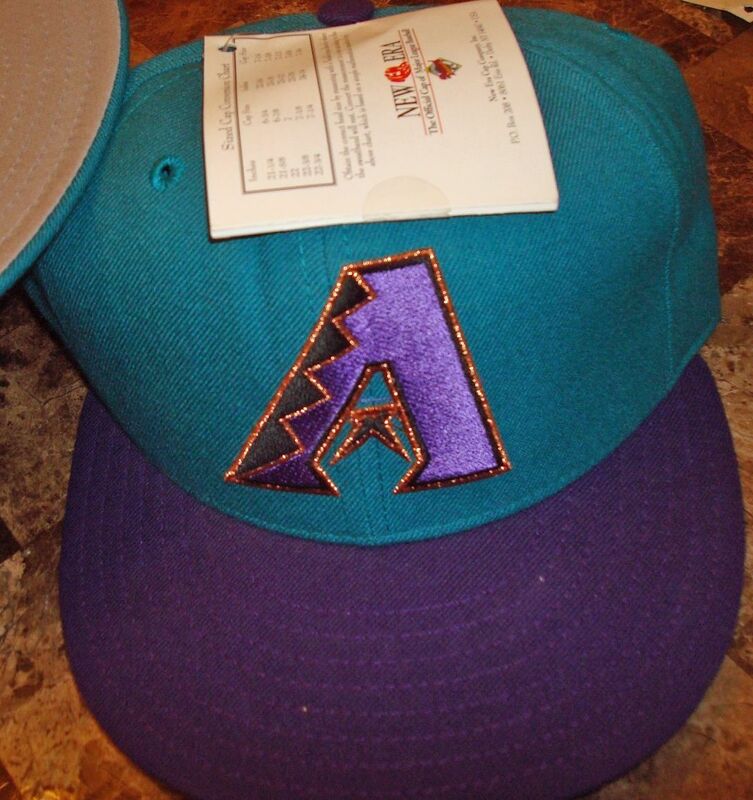 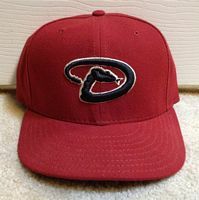 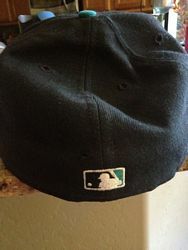 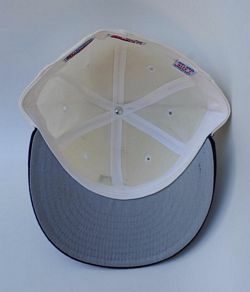 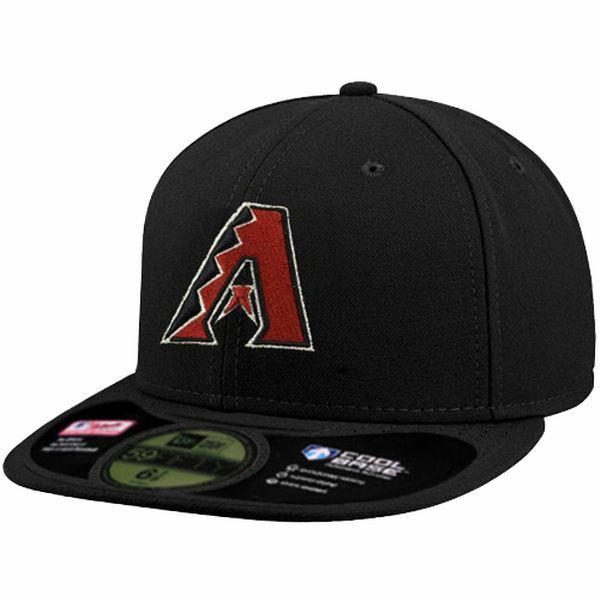 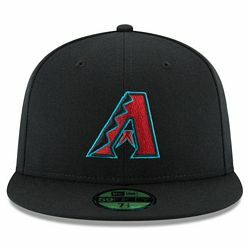 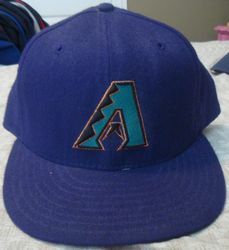 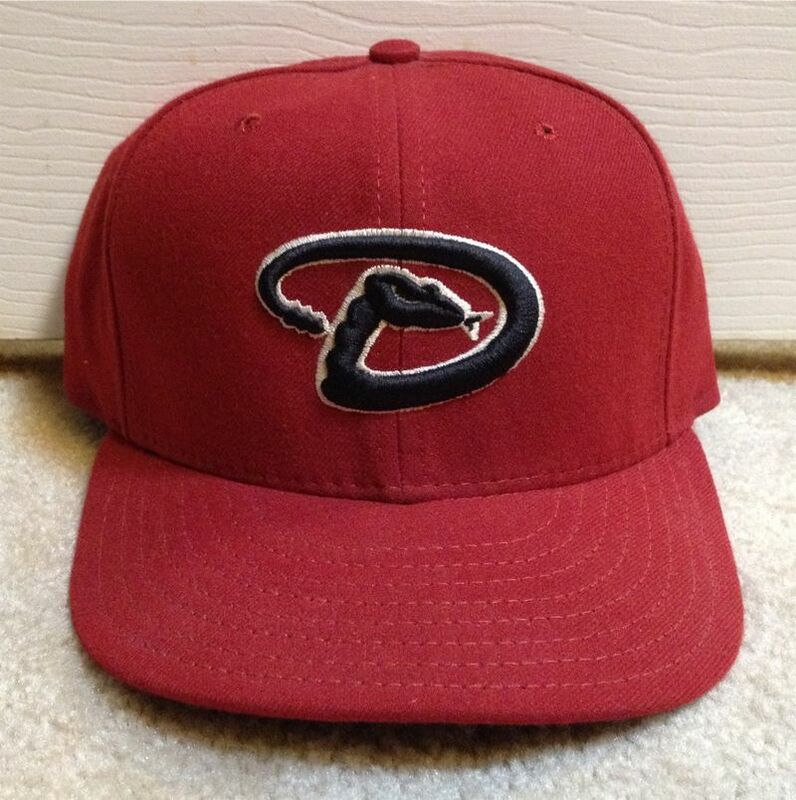 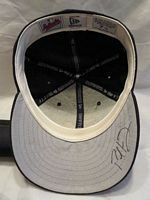 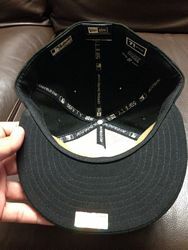 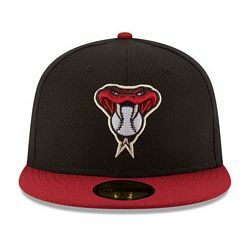 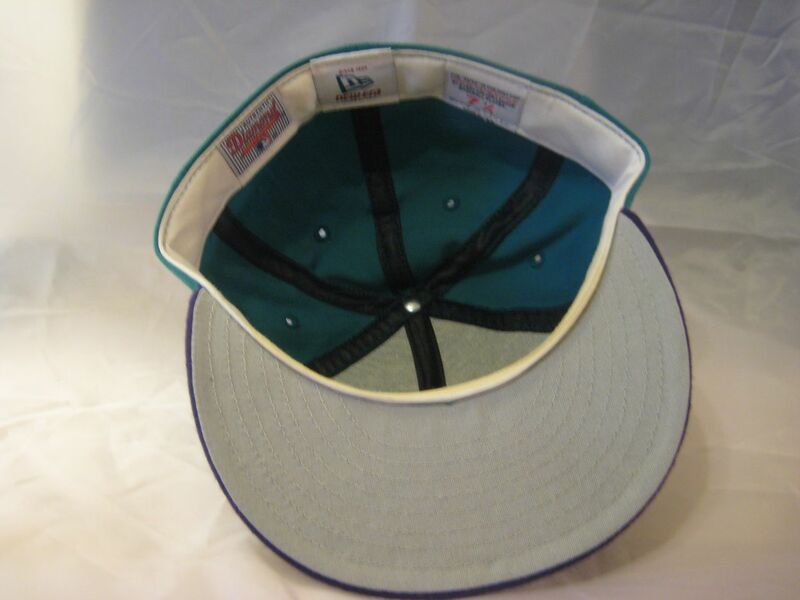 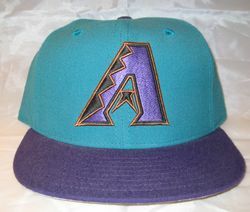 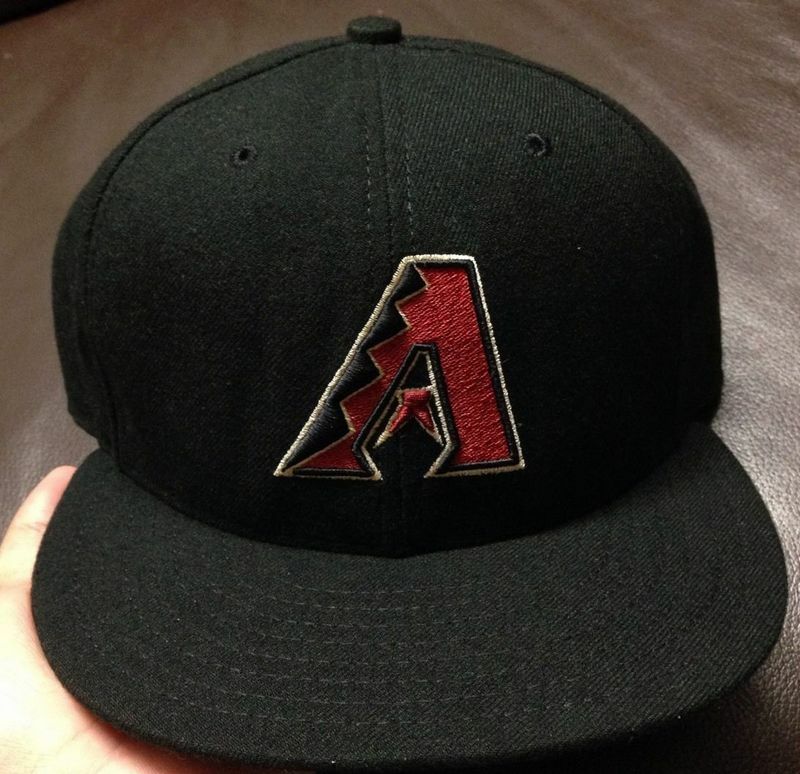 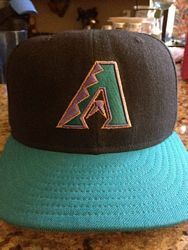 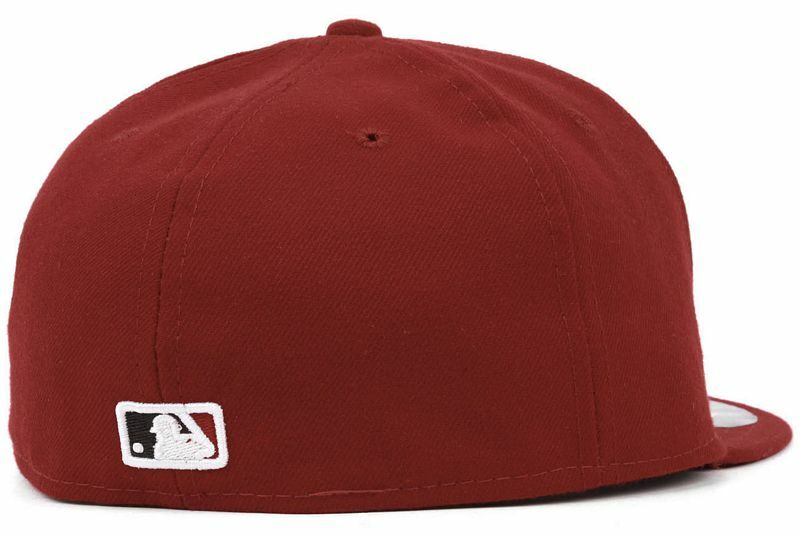 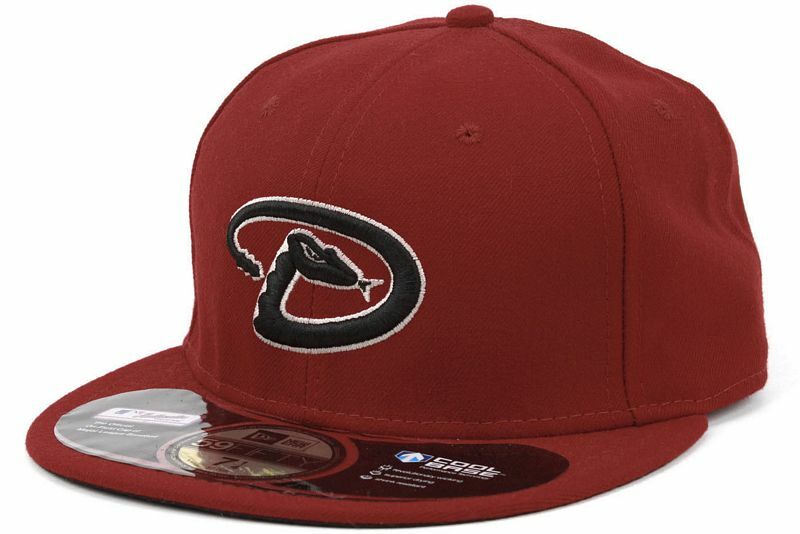 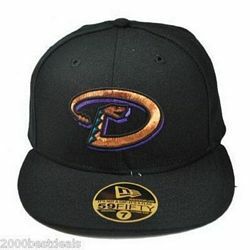 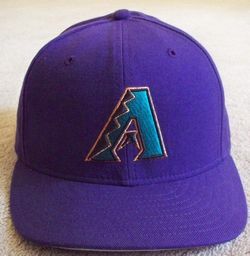 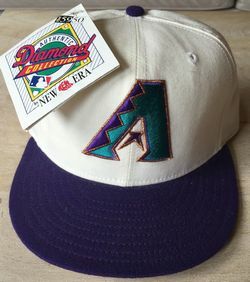 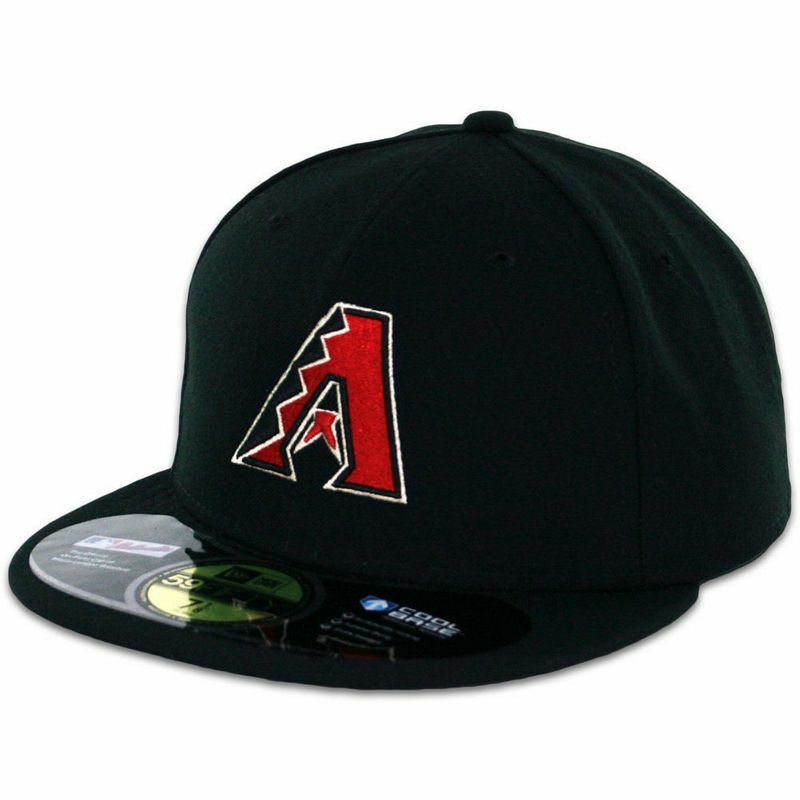 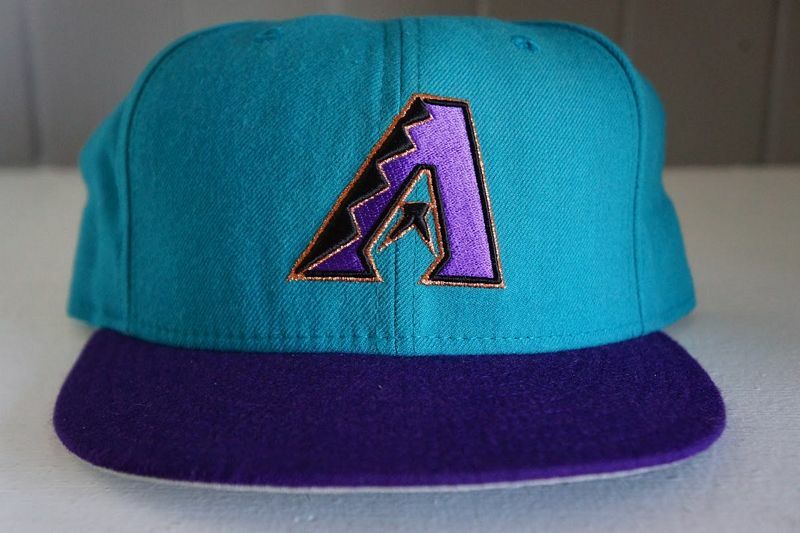 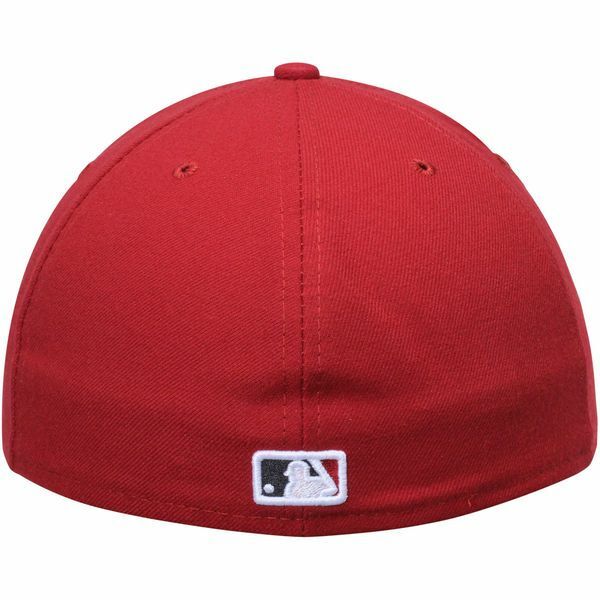 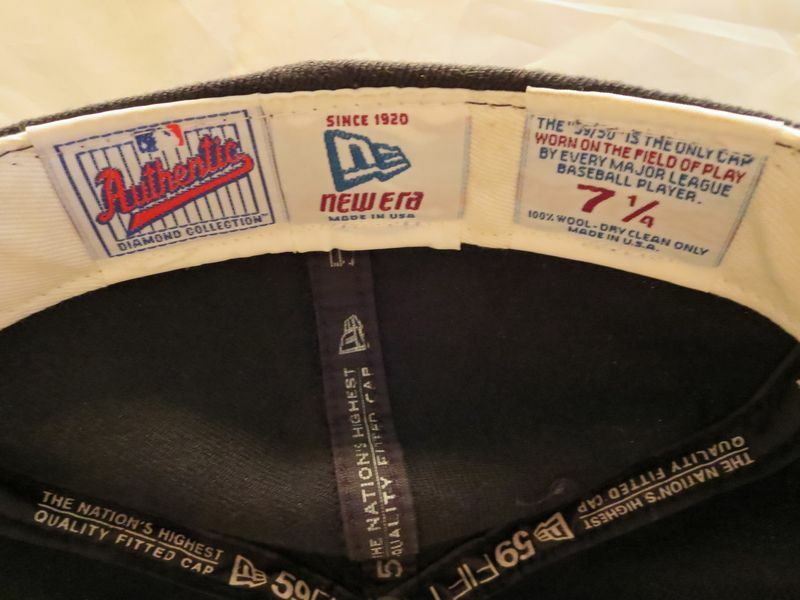 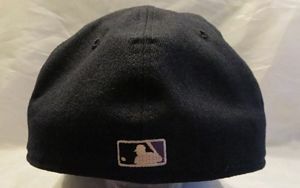 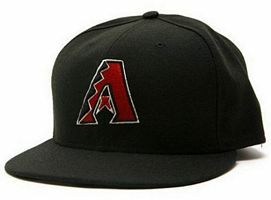 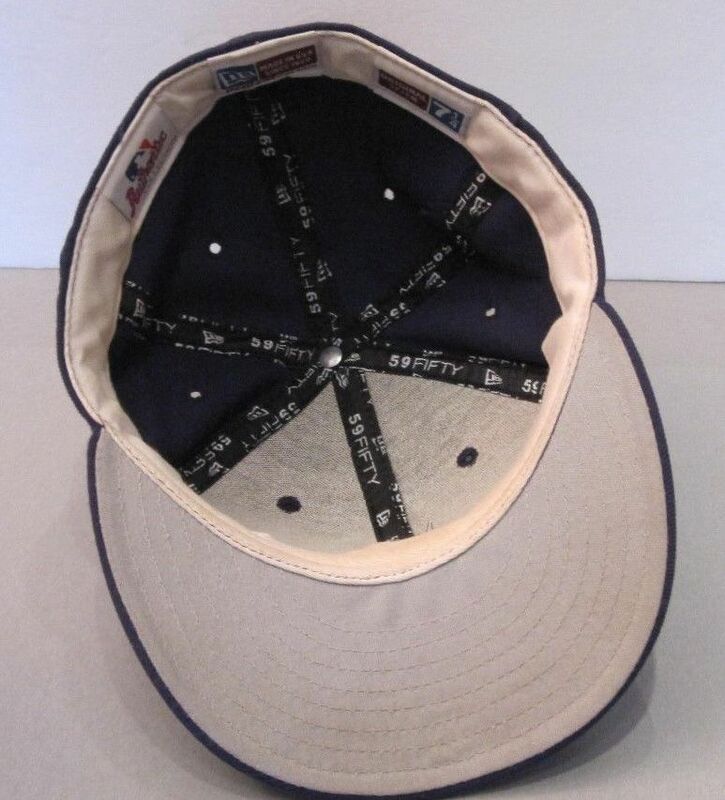 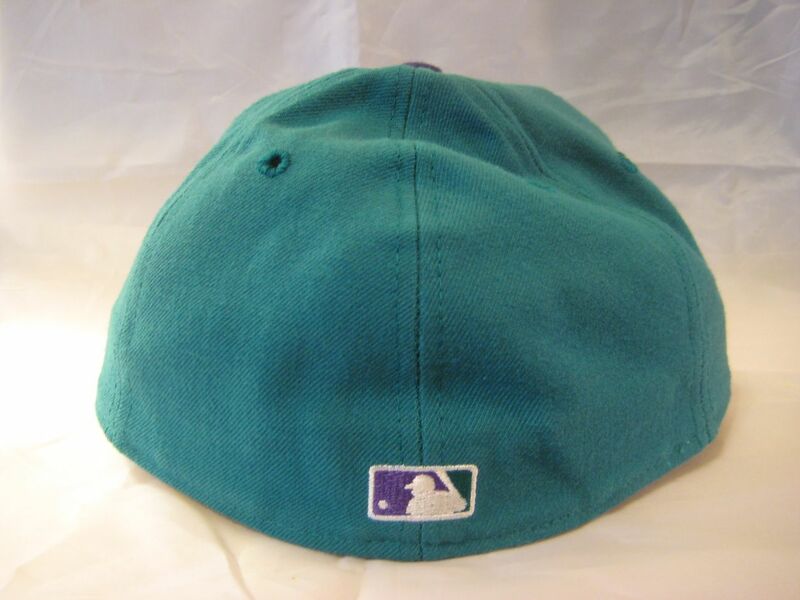 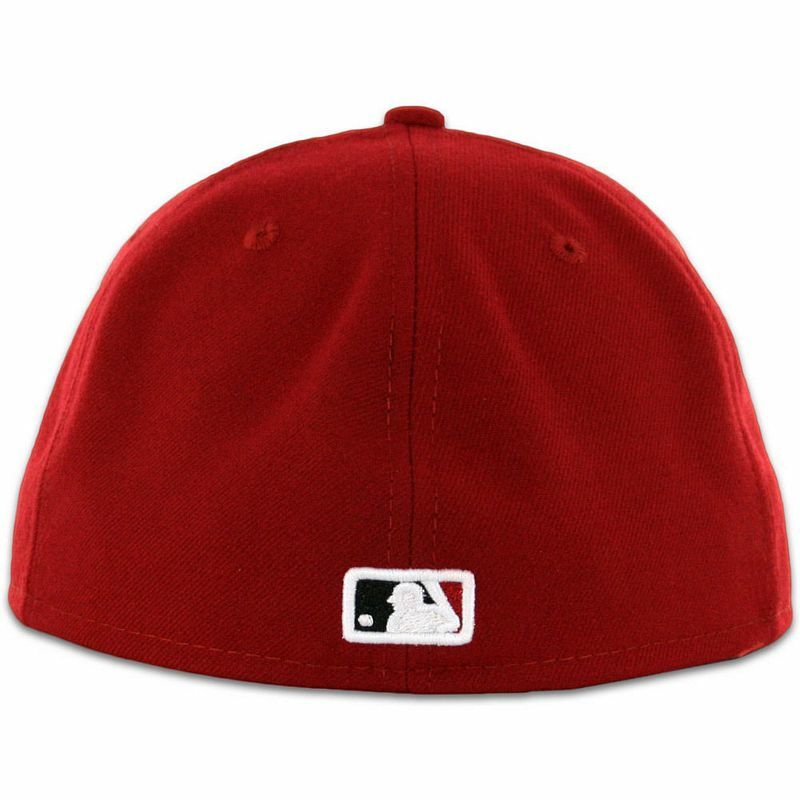 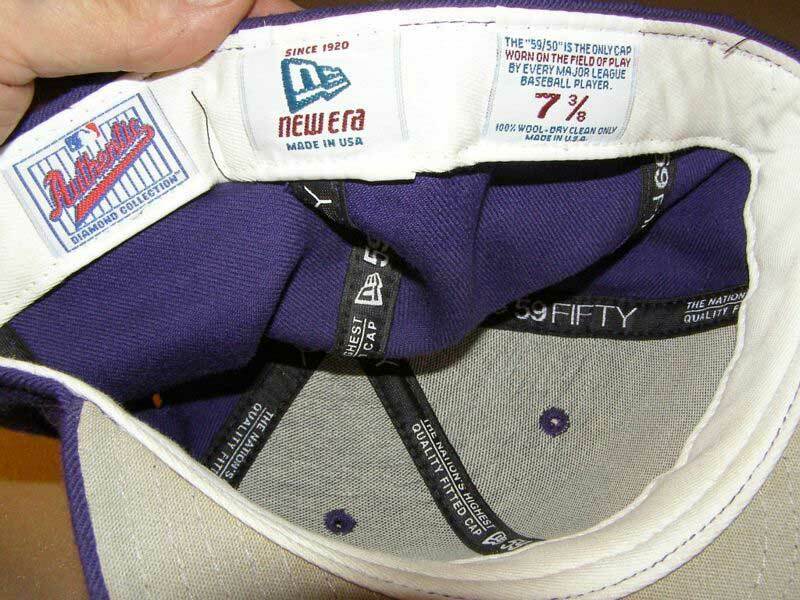 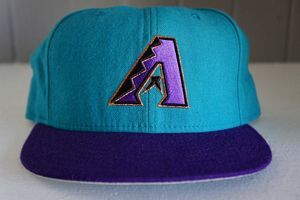 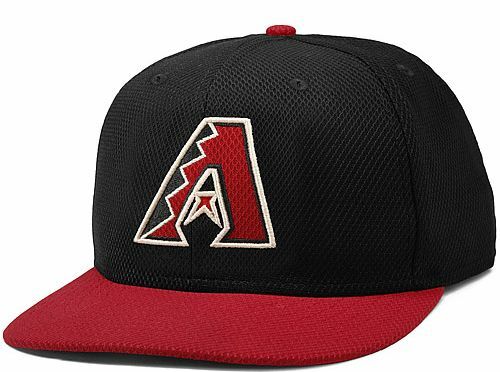 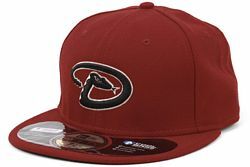 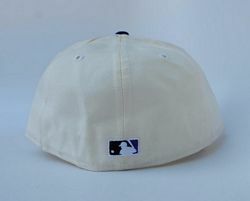 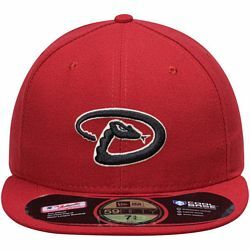 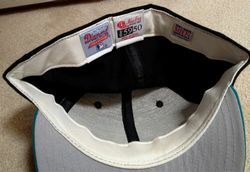 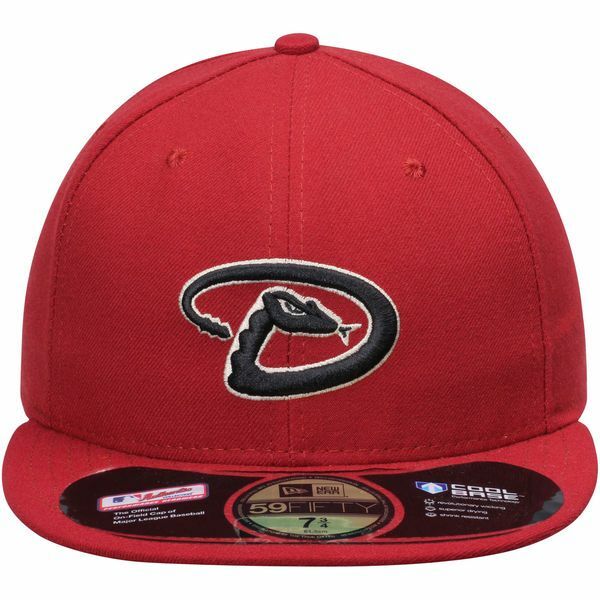 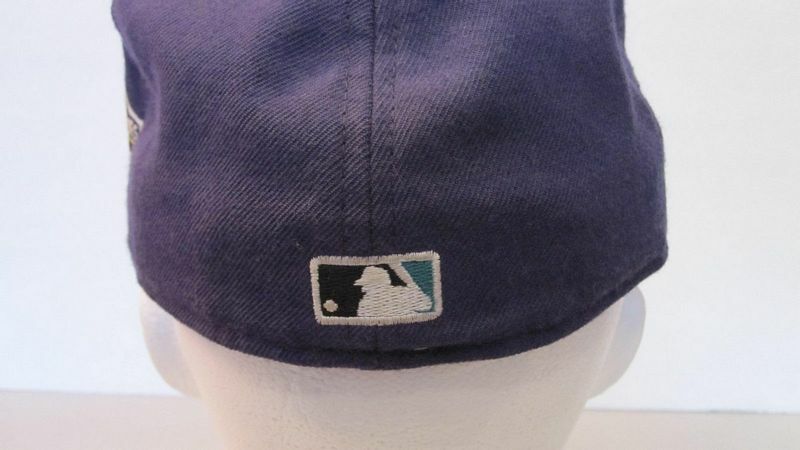 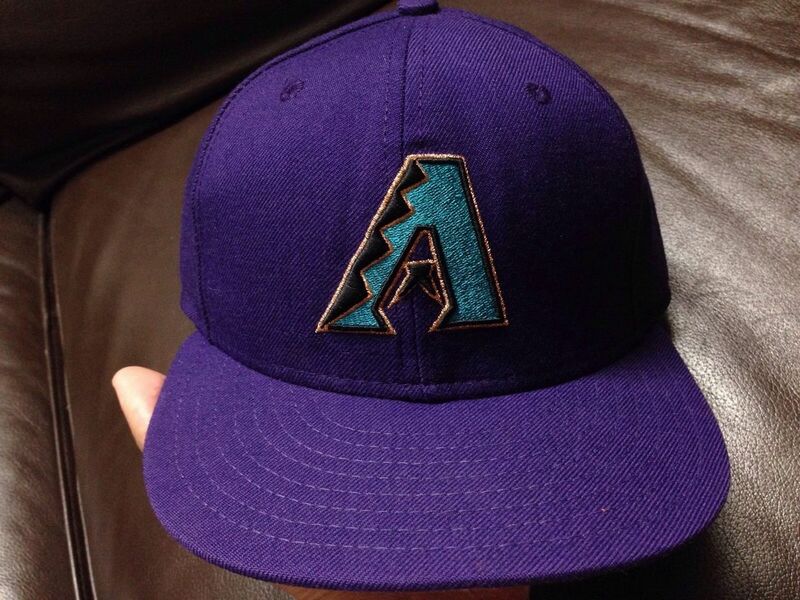 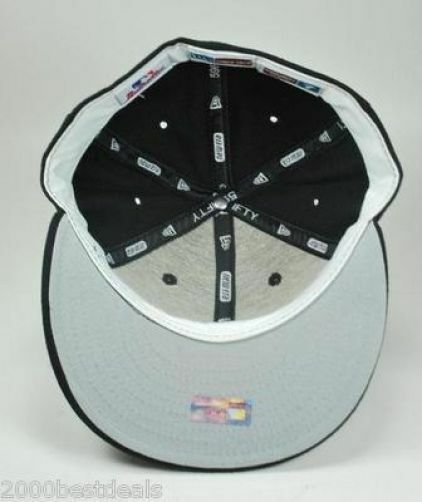 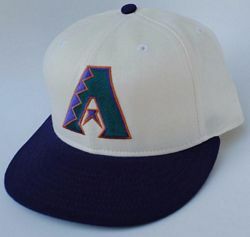 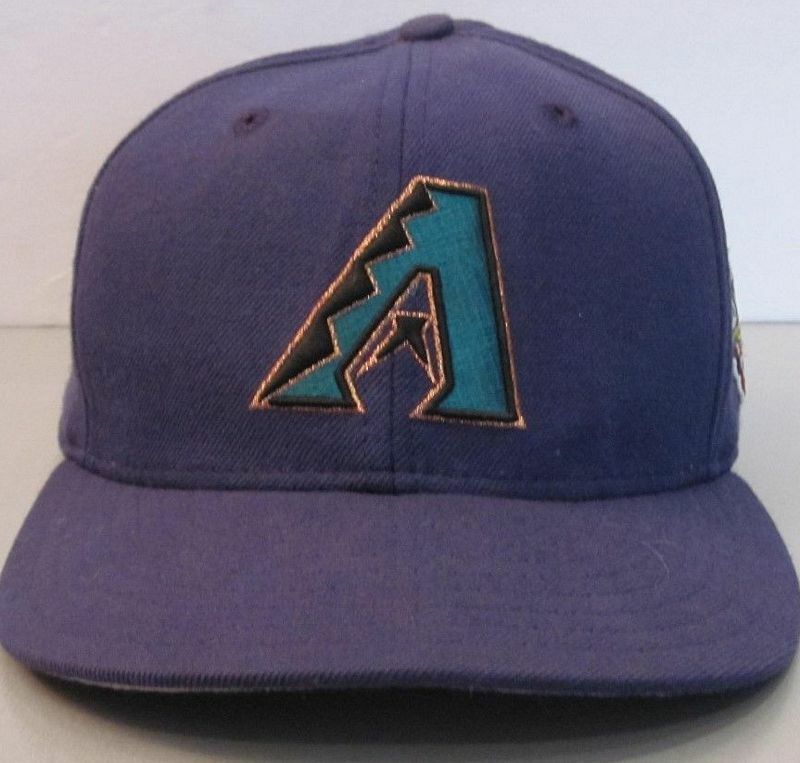 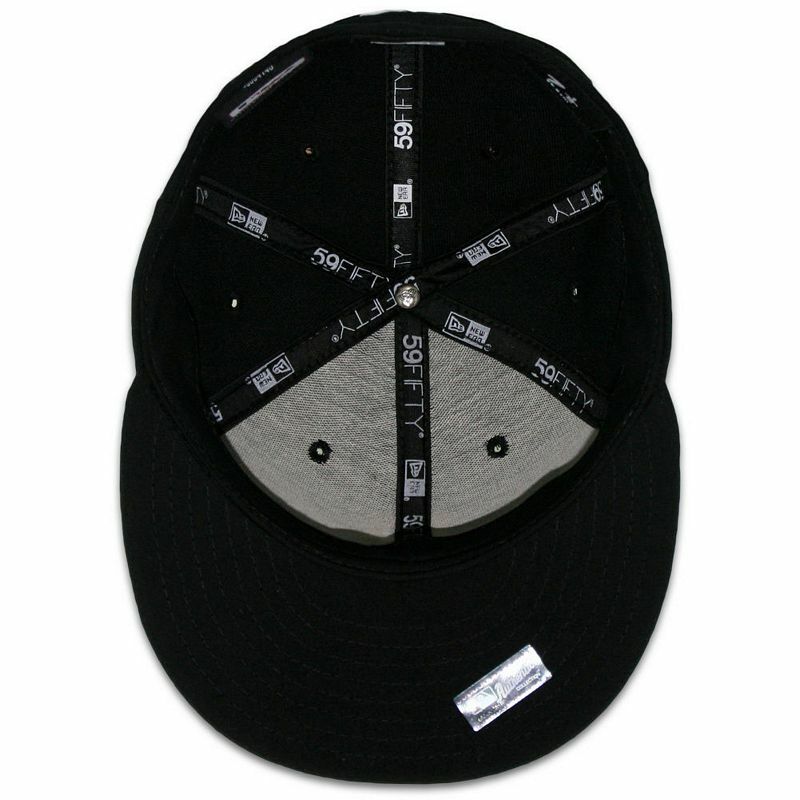 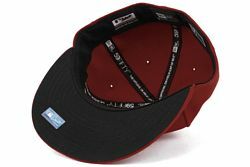 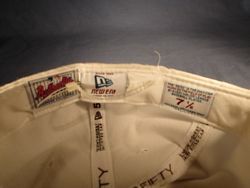 The first Diamondbacks caps appeared at retail in 1995. 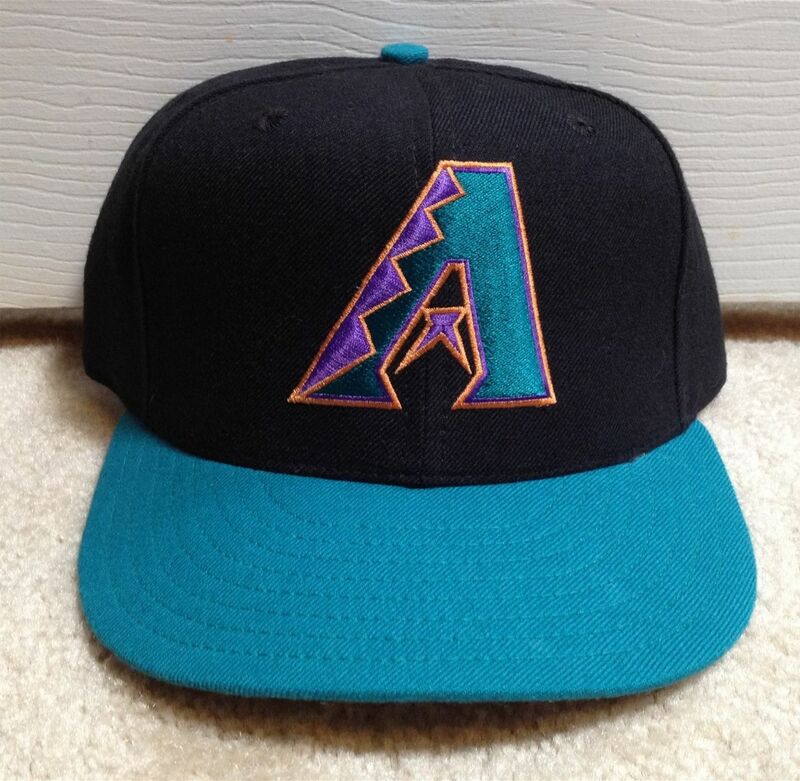 The original plan was white for home, black on the road, teal as alternate. 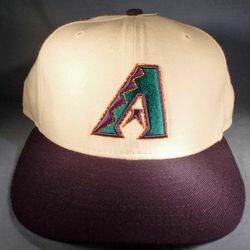 The "A" is large, the outline flat gold. 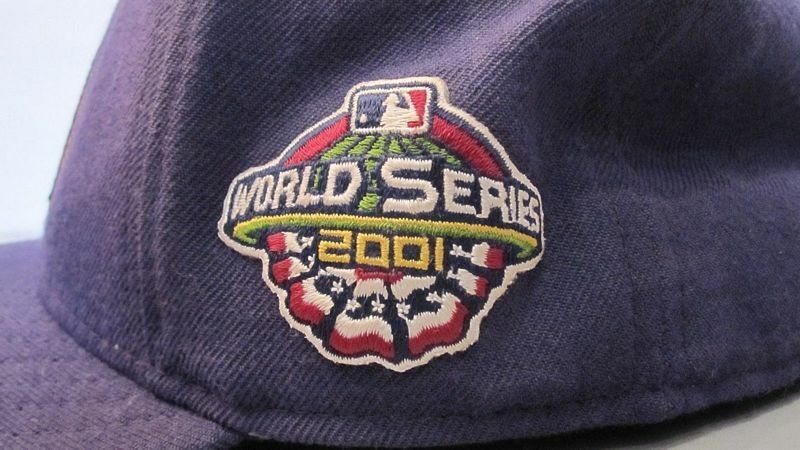 During 1997 the gold logo outline changes to glittering gold. The "A" is still large. Anyone have a black version? 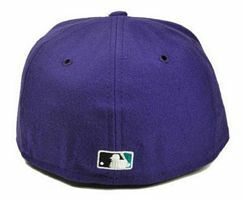 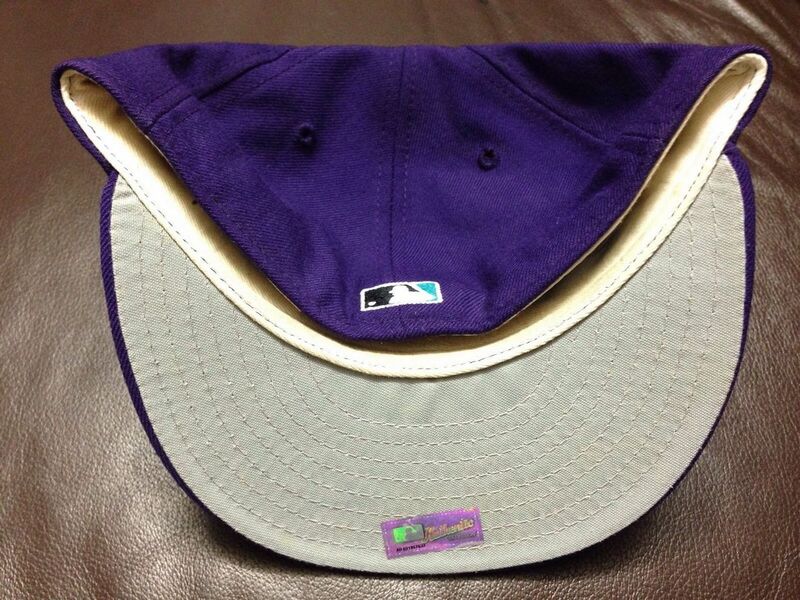 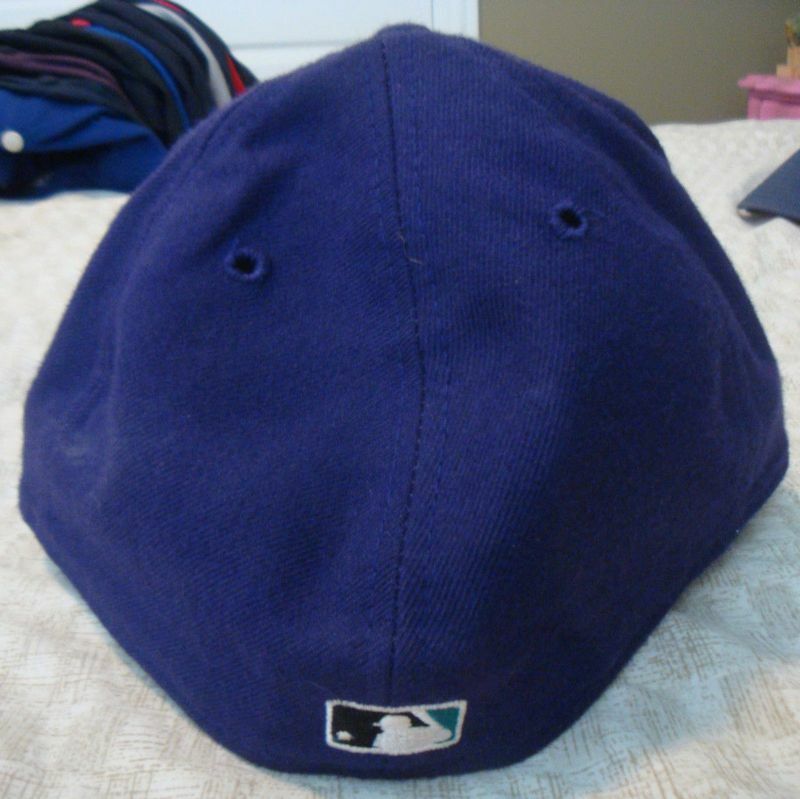 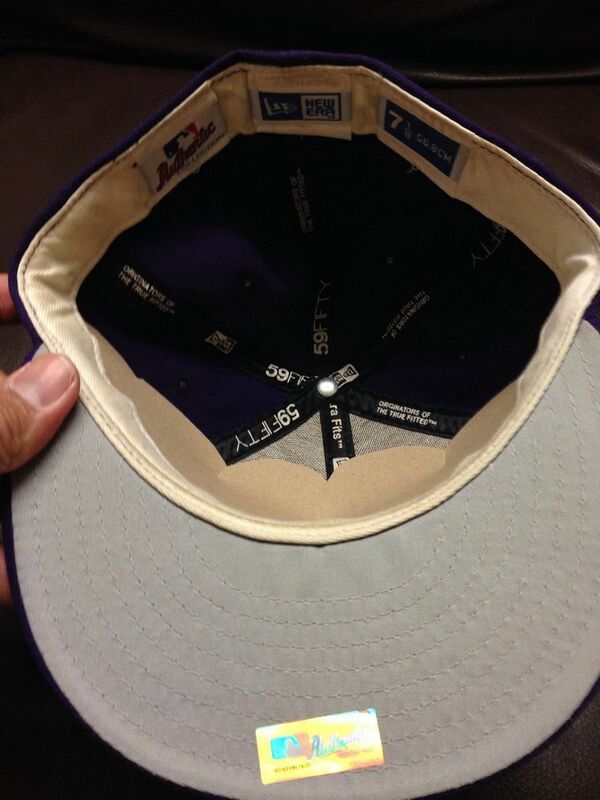 Prior to the start of the season, a purple cap is introduced as the home cap. The logo shrinks a fair bit. 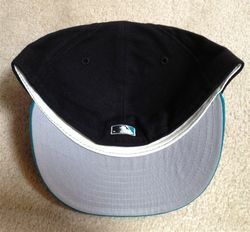 Black/teal remains the road cap. The white and teal caps are used once for certain, possibly twice, at home. Road cap changes to black with a snake-shaped D logo. The white and teal alternates are unused, and formally retired after 2000. 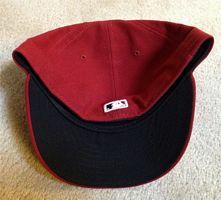 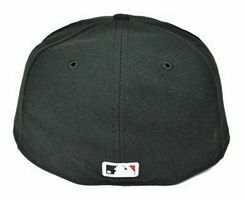 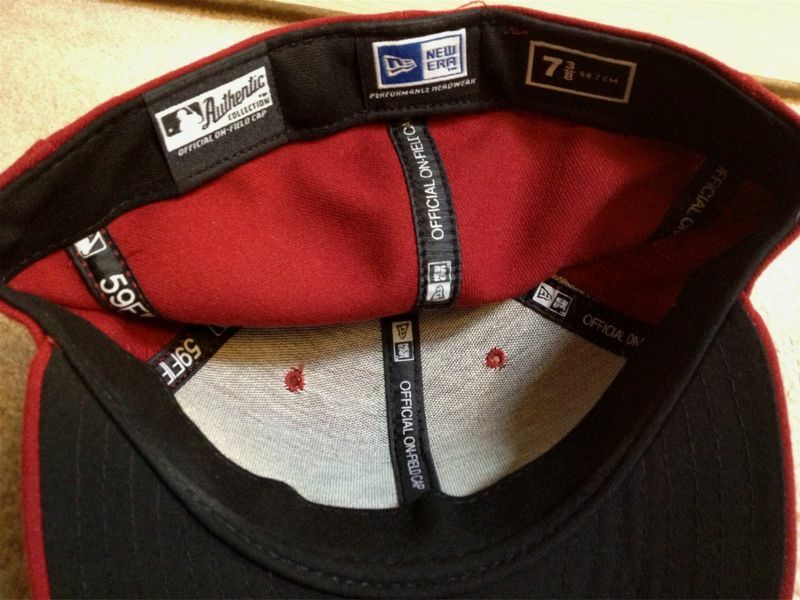 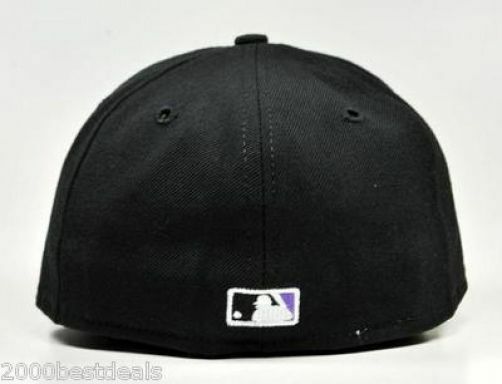 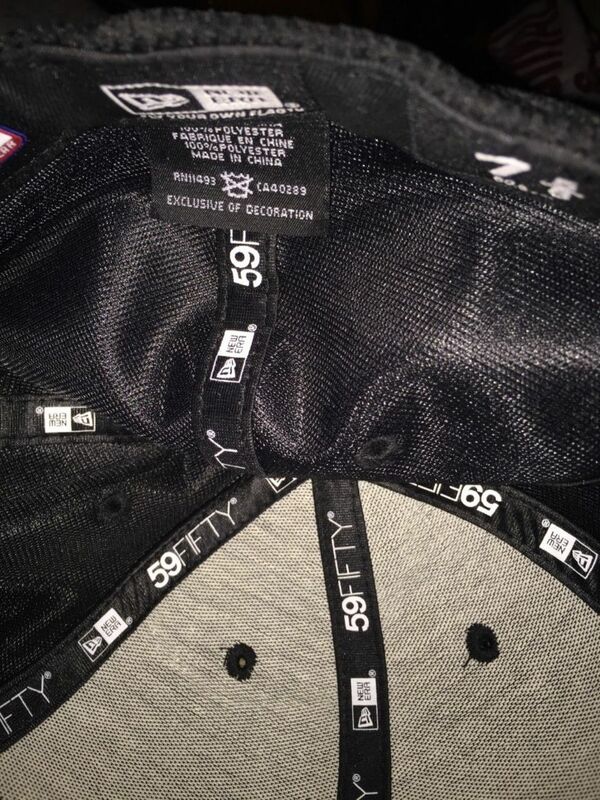 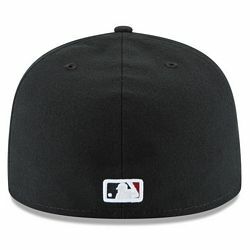 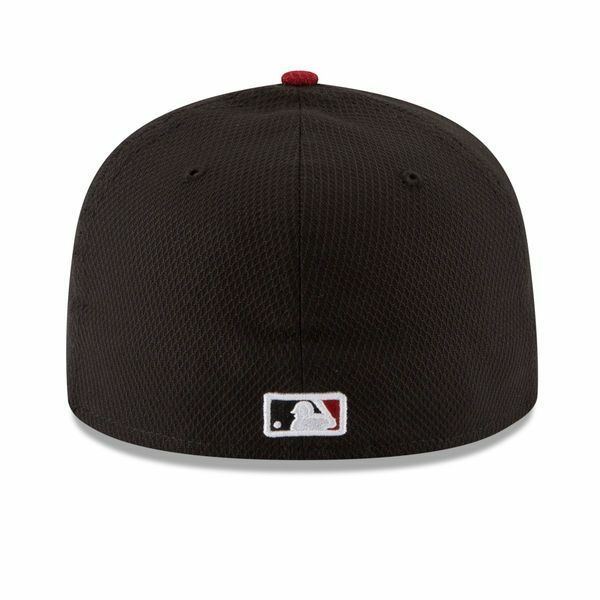 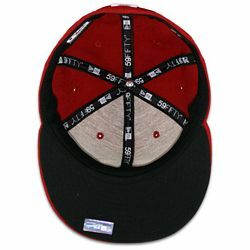 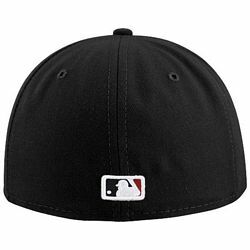 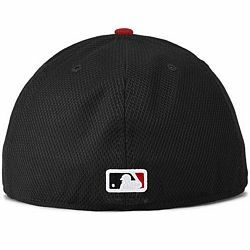 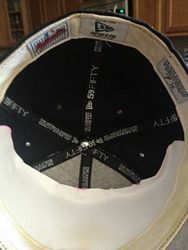 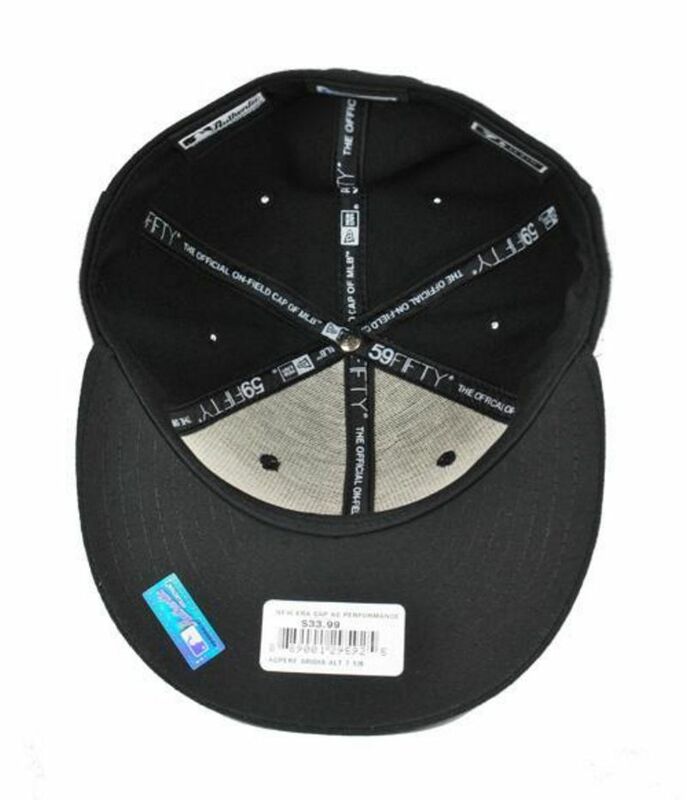 Red caps are worn home and road, and the alternate cap is black. 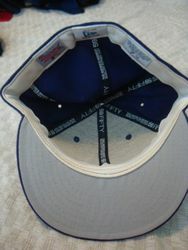 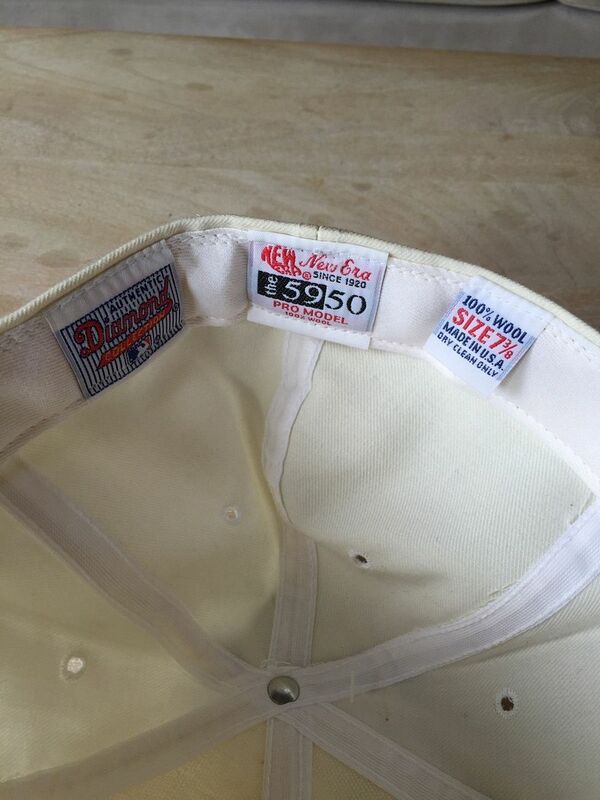 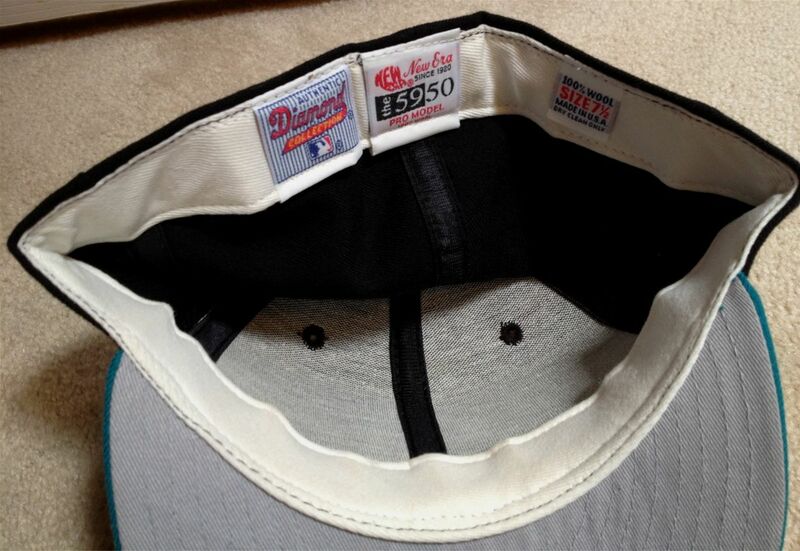 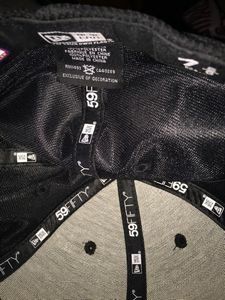 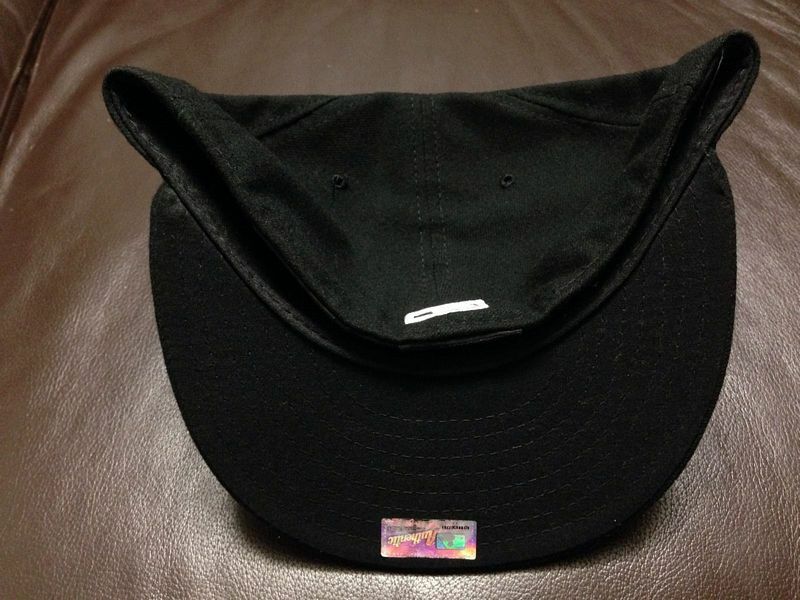 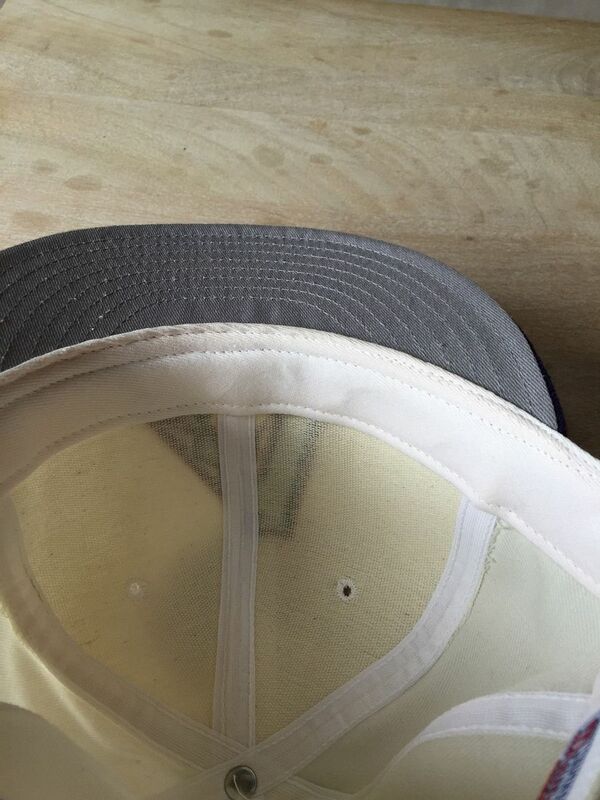 Caps change to polyester and undervisors turn black. 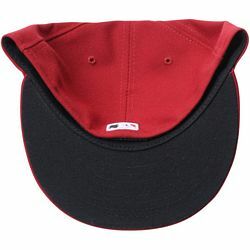 Red billed black BP cap worn occasionally with black home alternate jersey.